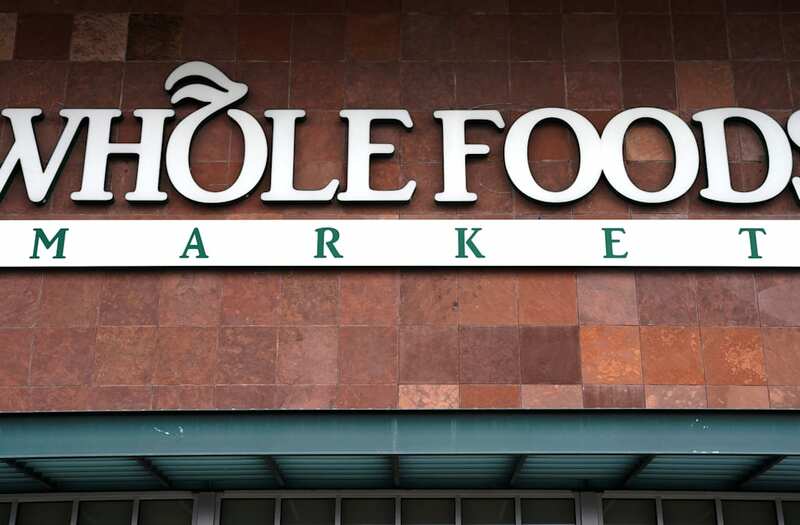 Amazon Prime members will now get special discounts at Whole Foods. Amazon's acquisition of Whole Foods will close on Monday. "Amazon and Whole Foods Market technology teams will begin to integrate Amazon Prime into the Whole Foods Market point-of-sale system, and when this work is complete, Prime members will receive special savings and in-store benefits," the companies wrote in a release. The company hasn't yet indicated a time frame for all of the changes. SEATTLE&AUSTIN, Texas--(BUSINESS WIRE)--Aug. 24, 2017-- (NASDAQ:AMZN)—Amazon and Whole Foods Market today announced that Amazon's acquisition ofWhole Foods Marketwill close onMonday August 28, 2017, and the two companies will together pursue the vision of making Whole Foods Market's high-quality, natural and organic food affordable for everyone. As a down payment on that vision,Whole Foods Marketwill offer lower prices starting Monday on a selection of best-selling grocery staples across its stores, with more to come. In addition,AmazonandWhole Foods Markettechnology teams will begin to integrate Amazon Prime into theWhole Foods Marketpoint-of-sale system, and when this work is complete, Prime members will receive special savings and in-store benefits. The two companies will invent in additional areas over time, including in merchandising and logistics, to enable lower prices forWhole Foods Marketcustomers. "We're determined to make healthy and organic food affordable for everyone. Everybody should be able to eatWhole Foods Marketquality – we will lower prices without compromising Whole Foods Market's long-held commitment to the highest standards," saidJeff Wilke, CEO ofAmazonWorldwide Consumer. "To get started, we're going to lower prices beginning Monday on a selection of best-selling grocery staples, including Whole Trade organic bananas, responsibly-farmed salmon, organic large brown eggs, animal-welfare-rated 85% lean ground beef, and more. And this is just the beginning – we will make Amazon Prime the customer rewards program atWhole Foods Marketand continuously lower prices as we invent together. There is significant work and opportunity ahead, and we're thrilled to get started." "It's been our mission for 39 years atWhole Foods Marketto bring the highest quality food to our customers," saidJohn Mackey,Whole Foods Marketco-founder and CEO. "By working together withAmazonand integrating in several key areas, we can lower prices and double down on that mission and reach more people with Whole Foods Market's high-quality, natural and organic food. As part of our commitment to quality, we'll continue to expand our efforts to support and promote local products and suppliers. We can't wait to start showing customers what's possible whenWhole Foods MarketandAmazoninnovate together." Starting Monday,Whole Foods Marketwill offer lower prices on a selection of best-selling staples across its stores, with much more to come. Customers will enjoy lower prices on products like Whole Trade bananas, organic avocados, organic large brown eggs, organic responsibly-farmed salmon and tilapia, organic baby kale and baby lettuce, animal-welfare-rated 85% lean ground beef, creamy and crunchy almond butter, organic Gala and Fuji apples, organic rotisserie chicken, 365 Everyday Value organic butter, and much more. Whole Foods Market's healthy and high-quality private label products—including 365 Everyday Value,Whole Foods Market, Whole Paws and Whole Catch—will be available throughAmazon.com, AmazonFresh, Prime Pantry and Prime Now. Amazon Lockers will be available in selectWhole Foods Marketstores. Customers can have products shipped fromAmazon.comto their localWhole Foods Marketstore for pick up or send returns back toAmazonduring a trip to the store. This is just the beginning –AmazonandWhole Foods Marketplan to offer more in-store benefits and lower prices for customers over time as the two companies integrate logistics and point-of-sale and merchandising systems. Whole Foods Marketwill continue to grow its team and create jobs in local communities as it opens new stores, hires new team members, and expands its support of local farmers and artisans. The company will maintain operations under the Whole Foods Market brand, preserve its high standards and commitment to providing the finest natural and organic foods, and continue to source from trusted vendors and partners around the world.John Mackeywill remain asCEO and Whole FoodsMarket's headquarters will stay inAustin, Texas.